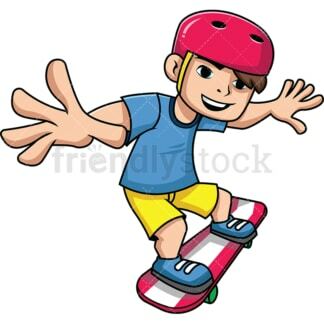 Royalty-free stock illustration of a smiling kid with brown hair wearing a helmet, a t-shirt and shorts, trying to keep his balance while skateboarding. 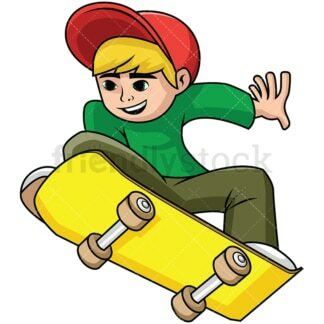 Royalty-free stock illustration of a teenager wearing a helmet and casual clothing smiling as he performs a difficult trick with his skateboard. 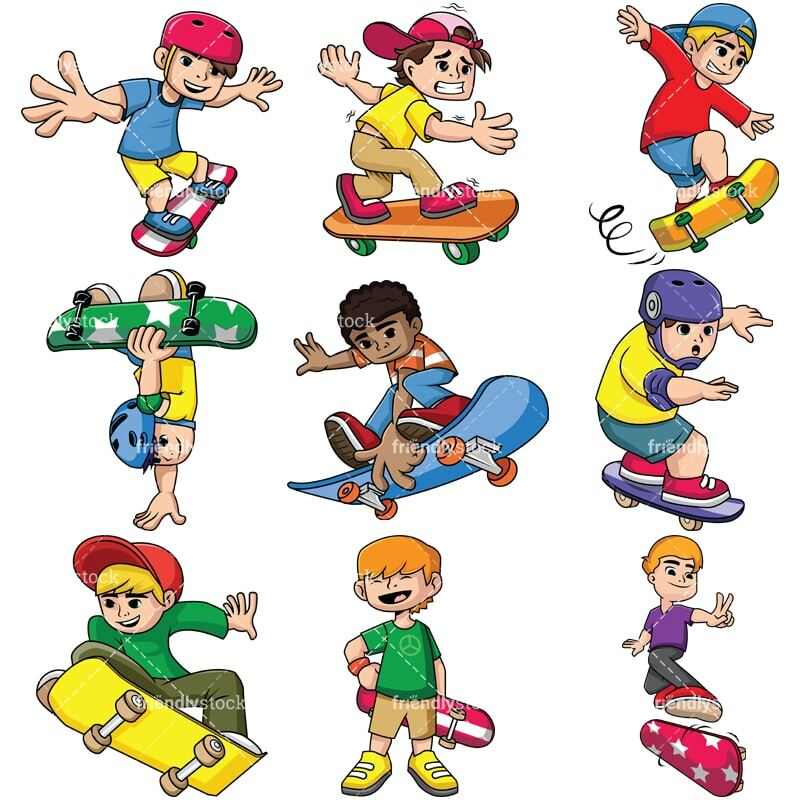 Royalty-free stock illustration of a blond boy skateboarding. He wears a red cap hat and casual clothes. 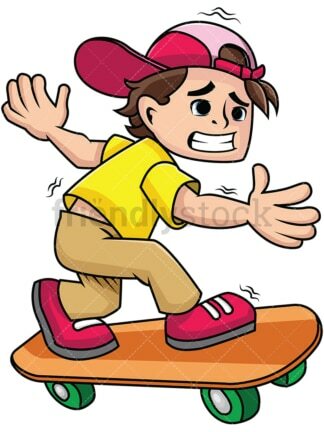 Royalty-free stock illustration of a man with brown hair, wearing a hat, and looking scared of falling while practicing his skateboarding skills. 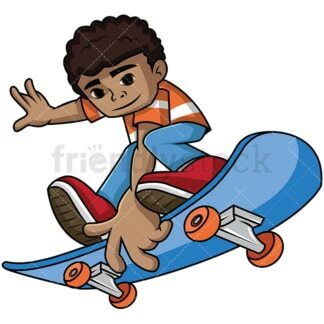 Royalty-free stock illustration of an African American boy or teenager performing a difficult skateboarding trick during a jump. Royalty-free stock illustration of a smiling boy wearing a t-shirt with the peace sign on it and holding a skateboard. Royalty-free stock illustration of a blond kid smiling and trying to maintain his balance while running fast with his skateboard. Royalty-free stock illustration of a slightly fat boy wearing a helmet and trying to keep his balance on a skateboard. Royalty-free stock illustration of a man making the peace sign gesture with his hand while performing a trick with his skateboard.